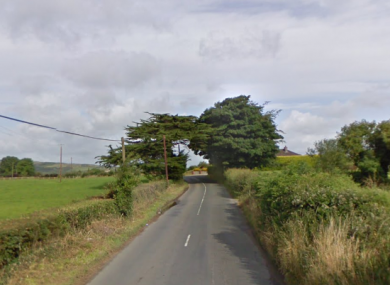 The incident happened on the R518 near Ballingarry on 2 September. GARDAÍ HAVE ISSUED a fresh appeal for information about a fatal hit and run in Co Limerick last weekend. The incident happened on the R518 at Rylands in Ballingarry, around 26km south of Limerick city, shortly before 11pm on 2 September. A 76 year-old man was hit and fatally injured by a vehicle in the collision, after which the offending vehicle left the scene. The man was pronounced dead at the scene, and his body was removed to the mortuary at Limerick University Hospital where a post-mortem took place on 3 September. Gardaí have now re-issued their appeal to the public for witnesses to the incident. They are particularly looking for anyone who may have information in connection with the collision, or anyone who was on that particular stretch of road between 10.30pm and 11.15pm on 2 September. Members of the public who may have information are being told to contact gardaí on 069 20650, the Garda Confidential Line on 1800 666 111 or any Garda station. Email “Fresh appeal for information over fatal hit and run that killed 76-year-old man in Limerick”. Feedback on “Fresh appeal for information over fatal hit and run that killed 76-year-old man in Limerick”.